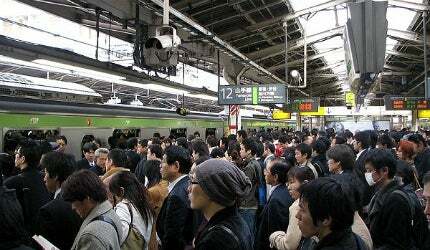 Shinjuku Station serves 3.5 million passengers per day. Image courtesy of Chris 73. 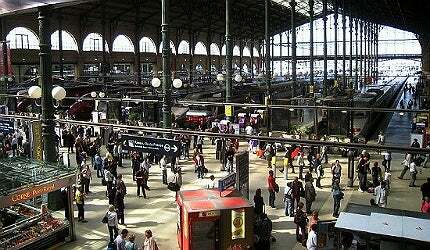 Gare du Nord is Europe's busiest railway station by total passenger numbers. Image courtesy of WiNG. 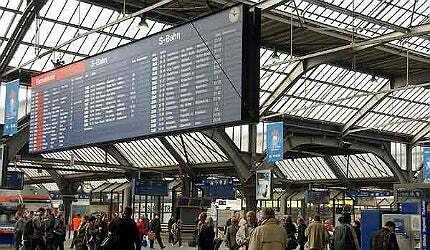 In excess of 2,900 trains pass through Zurich Hauptbahnhof every day. 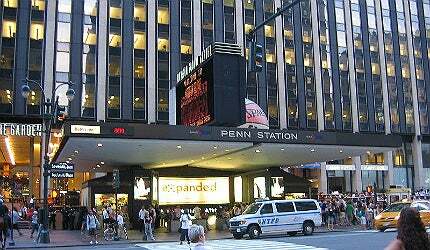 Penn Station in New York City is the busiest railway station in North America. Image courtesy of Rickyrab. As transport infrastructure develops and the world becomes better connected, major train stations around the world are reaching their full capacity. In light of this, many stations, including Gard du Norde in Paris and Union Station in Toronto, are adding new concourses, lines and platforms to cope with the influx of passengers. 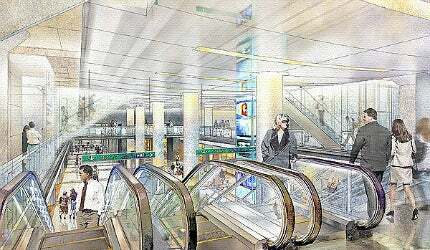 Here, we list some of the world’s busiest stations and provide details on their expansion plans. With an average of 3.5 million passing through its doors every day, Shinjuku Station in Tokyo, Japan, is the world’s busiest train station in terms of passenger throughput. Shinjuku is made up of five stations – JR-East, Odakyu Electric Railway, Keio Corporation, Tokyo Metro and Toei Subway – and serves as a connecting link between central Tokyo and its western suburbs. The site has of ten platforms, serving 20 tracks and 12 train links. There have been plans at various points in history to connect Shinjuku into the Shinkansen network of high speed rail lines, and the 1973 Shinkansen Basic Plan, still in force, specifies that the station should be the southern terminus of the Joetsu Shinkansen line to Niigata, the capital and the most populous city of Niigata Prefecture. Serving around 180 million travellers each year, Gare du Nord is Europe’s busiest railway station by total passenger numbers. The Gare du Nord railway is served by the Paris Metro transit system, the Réseau Express Régional (RER) railway system and several bus routes. The metro system has two lines, including line four which runs from the north to the south of Paris, and line five, which has extensions to the Gare de Lyon, the north eastern suburbs of Pantin and Bobigny. A construction plan to build a hallway between Gare du Nord and Gare de l’Est is set to be implemented in the near future. The project is expected to be completed after the new LGV Est – an extension to the TGV network – starts serving the station. Zurich Hauptbahnhof (HB) is Europe’s busiest railway terminus by daily rail traffic, with more than 2,900 trains passing through the station every day. Situated between the rivers Sihl and Limmat, it is fronted by busy tram stop, and its four-platform sub-surface station for S-Bahn trains (local / regional trains primarily for the Zurich canton) was turned into a through route in 1991. But, even with the adoption of multiple units and push-pull formations, which save the need for locomotive changes at surface-level platforms, the station is becoming too crowded and there are many projects, including Durchmesserlinie (the Diameter Line), being developed to address this issue. By allowing such services to pass through the HB hub, the Durchmesserlinie project will allow for alterations and expansion of the S-Bahn services that account for a large proportion of train movements in the area. Penn Station in New York City is the busiest railway station in North America, with 1,000 passengers alighting and departing there every 90 seconds. The station is at the centre of the Northeast Corridor, an electrified passenger rail line extending south to Washington, D.C., and north to Boston, Massachusetts. As part of the New Jersey Rail Project, also known as the Gateway Project, Penn Station will be expanded to serve 13 additional Jersey Transit and eight Amtrak trains during peak hours. The current service caters to 20 New Jersey Transit and 12 Amtrak trains an hour. The Gateway project, set to be completed in 2020, is expected to increase the commuter rail capacity of New Jersey Transit and Amtrak – the owner of Penn Station – by 65% to 33 train services an hour. Serving 250,000 passengers each day, Union Sation is the busiest train station in Canada. Located in Toronto, Union has more than 2,000 rights of way, making it one of the most complex stations in the world. Inter-city trains at Union Station are operated by Via Rail, and Ontario Northland, while commuter rail services are operated by GO Transit. The station is also connected to the Toronto Transit Commission subway and streetcar system via its subway station. Transport Canada is currently developing an airport link between Union Station and the Toronto Pearson International Airport. Metrolinx, a subsidiary of GO Transit, was chosen in July 2010 to design, construct, maintain and operate the railway link. A five-year revitalisation programme is also being carried out to improve the quality and pedestrian movement near the station and transform the building into a major terminus for shopping, dining and visiting. The programme, started in June 2010, and is scheduled to be completed by 2015.